Sales of books and souvenirs from our History Shop are an important element in supporting CHS programming. Items are available at The History Place (open by appointment), Columbia Town Clerk’s office in Yeomans Hall, and at most CHS public programs. 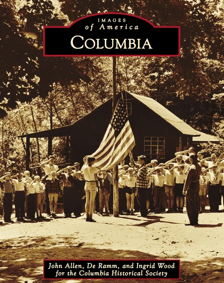 Heavily illustrated by archival images, this volume covers Columbia’s history from agricultural Colonial times through 19th century small-scale industrial development to today’s post-WWII bedroom community. A “must read” in understanding Columbia’s community character. 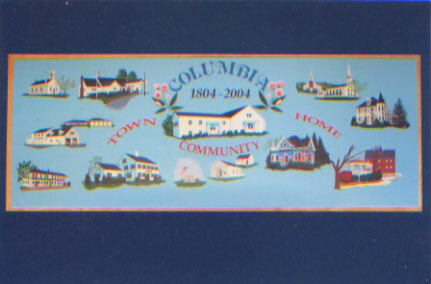 The dedication of this book, written in 1954 by the Women’s Guild of the Congregational Church reads: To the youth of Columbia, today and in the future, this book is dedicated in the hope that it may help awaken their interest in the story of their town, and that an understanding and appreciation of their heritage may challenge them toward effective citizenship. 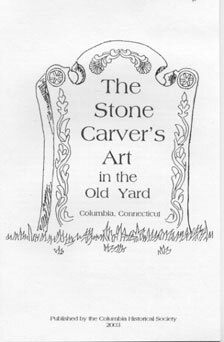 This 80 page book introduces the reader to the earliest settlers of this region in 1699 and through pictures and verse chronicles the story of life in Columbia up to 1953. 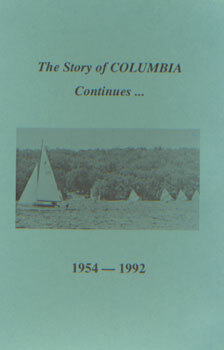 The dedication of this book, written and researched by Anita Ramm, Richard Curland, Marge Grant, Jean Peters, Gladys Soracchi and Noreen Steele reads: We dedicate this history to you, the newcomer in Columbia. You have moved here hoping to find a good life among the country fields and country roads. Whether you have come from a foreign land or a nearby city, there is much to learn about and enjoy. We hope this book will help you know your new home, perhaps understand it better – even, we hope, to love it. 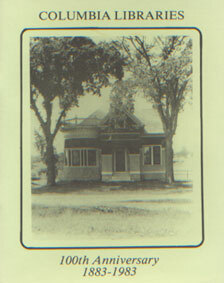 This book is dedicated to the diversity of cultures you bring to this small town. Each of you has something unique that enriches the lives of all of us. Early Columbia history does not record this diversity because it did not exist then. Today Columbia celebrates and we dedicate this slim (84 page) volume to the wide range of ethnic and cultural aspects of our beloved community. Read about Columbia’s government, religion, education, places of interest, development, environment & conservation, outside influences, and organizations that shaped Columbia during this period. 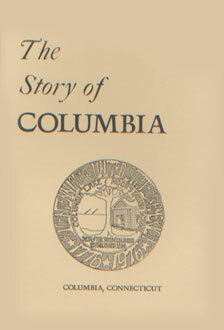 This brief 48 page book enlightens the reader with details concerning the establishment of the Columbia Free Library which opened to the public on December 14th, 1883. Learn about the founders of the Saxton B. Little Library and it’s continuous service to the towns people of Columbia for 100 years. 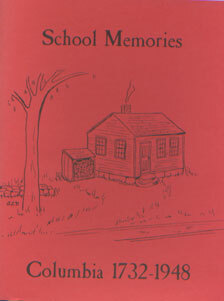 Published in 1976 by the Historical Society this story of Columbia’s one room schoolhouses shares pictures and details of school life dating back to the early 1900’s. 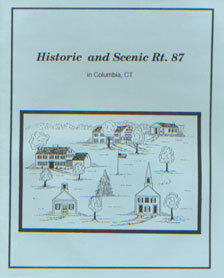 A brief history of laws pertaining to education in the Colony of Connecticut begins with “The Code of 1650”. 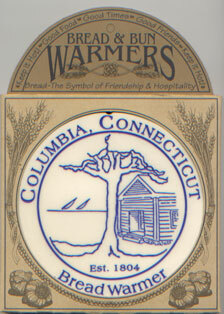 © 2019 History of Columbia, Inc.